north-east end of the was raised to form a cattle dock with pens to the rear. A ground frame on a raised plinth at the south end of the platform controlled access to the goods yard which comprised four curving sidings fanning out to the north of the station. There was a 5-ton yard crane. 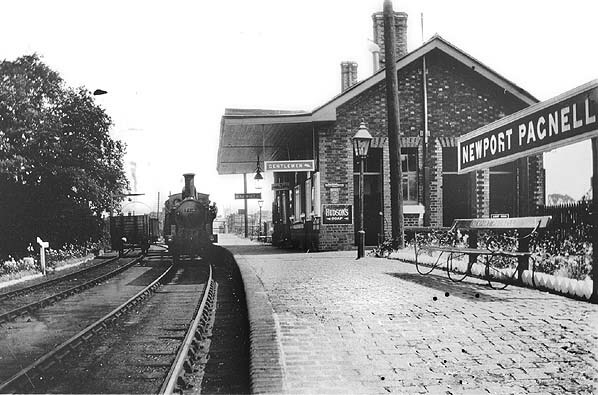 At Newport Pagnell, the railway re-used several of the warehouses and most of Shipley Wharf. There was also a private siding (Price's) behind the platform. 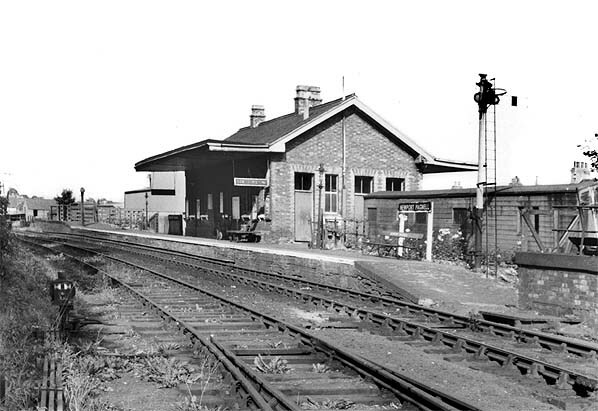 A 1-road wooden engine shed was opened by the LNWR on the up side south-west of the station on 2 September 1867. In BR days is was a sub-shed of 1E Bletchley and closed on 15 June 1955 and demolished two years later. A section of the Newport Pagnell canal basin wall was discovered during the redevelopment of the railway station site. In 1817 a branch of the Grand Junction Canal was cut from the main line at Great Linford to Newport Pagnell. The total length was one and a quarter miles rising through seven locks. landowner the Duke of Bedford who described it as "that useless railway." Not surprisingly, this also failed to attract investors. In 1845 an approach was made to buy the canal by the London and North Western Railway. The offer was turned down but in 1862 the canal was sold to the Newport Pagnell Railway for £9,000, despite opposition from the Grand Junction, the Oxford Canal, and the collieries at Moira and Shipley. 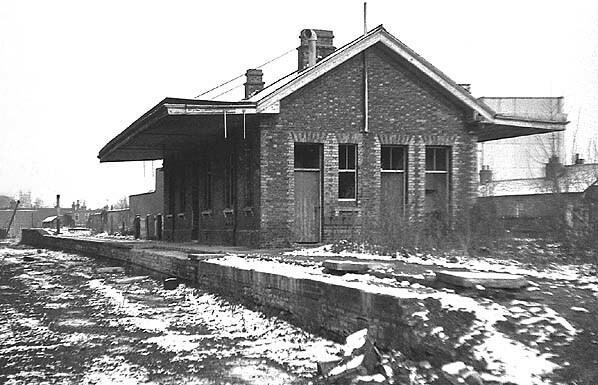 town of Olney and powers were granted for this extension in 1865 with a further extension to join the Northampton-Peterborough line at Wellingborough. 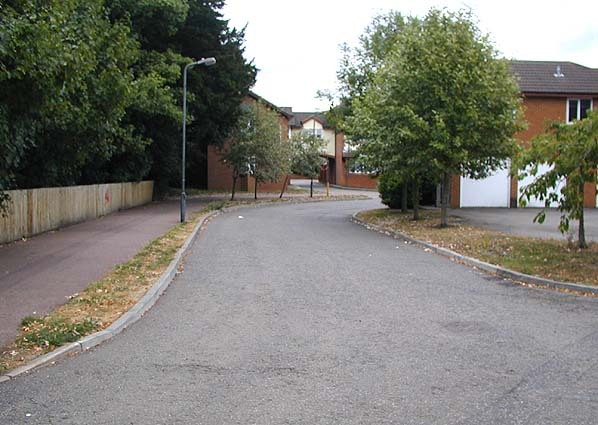 The extensions beyond Newport Pagnell were never built with powers lapsing in 1871 although some work had been undertaken. As with many rural lines the development of road transport gradually began to erode passenger numbers. The first motor bus service was in the country was introduced between Newport Pagnell and Olney in 1898 and the popularity of the motor car through the 20th century eventually spelled the end for the line. The last passenger train ran on 7th September 1964. 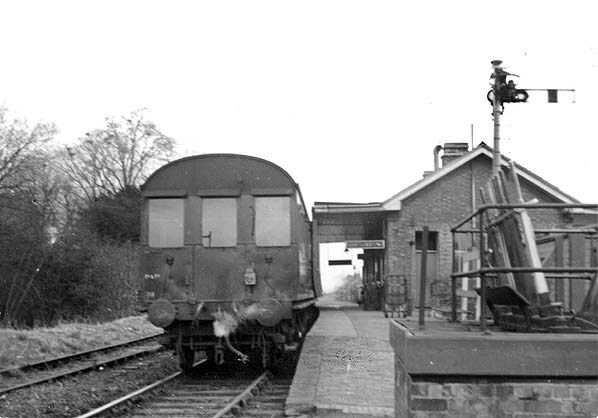 Goods traffic continued for three years until final closure on 22nd May 1967. The track was lifted later the same year. 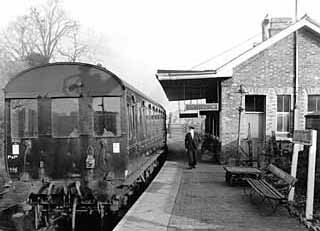 A train for Wolverton wait to depart from Newport Pagnell station c. 1930. 1862 map showing Shipley Wharf, the terminus of the Newport Pagnell Canal and the proposed railway. Compare with the maps below, it is clear that some of the wharf buildings were retained for railway use in the goods yard. 1881 1:2,500 OS map. The goods yard is built on the site of Shipley Wharf which was the terminus of the Newport Pagnell branch of the Grand Junction canal. 1900 1:2,500 OS Map. Little changed since the 1881 map above. Note the two turntables for movement of wagons in the goods yard. The engine shed is seen bottom left. 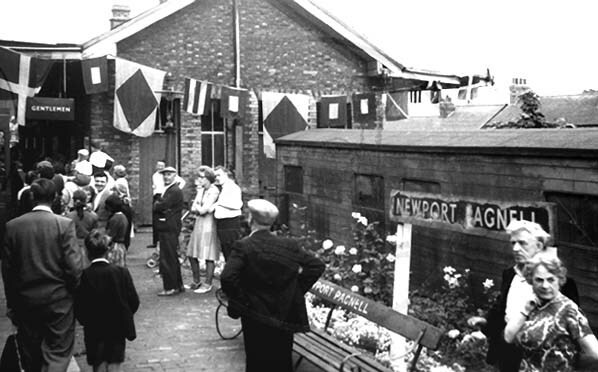 A train from Wolverton has just arrived at Newport Pagnell station in 1959. 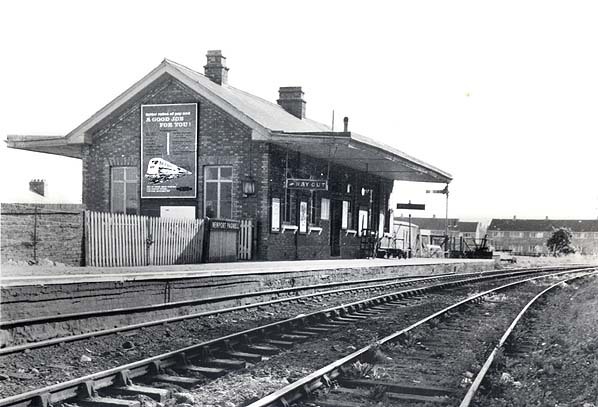 Newport Pagnell station looking north-west c. 1960s. The raised cattle dock and pens can be seen at the end of the platform. There was no signal box at Newport Pagnell. 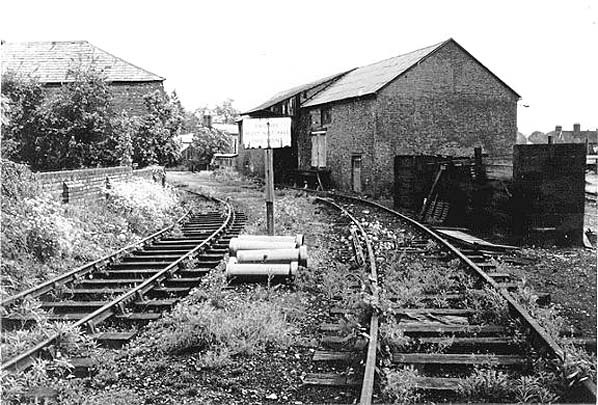 The sidings were controlled by a ground frame mounted on a brick plinth seen on the far right. 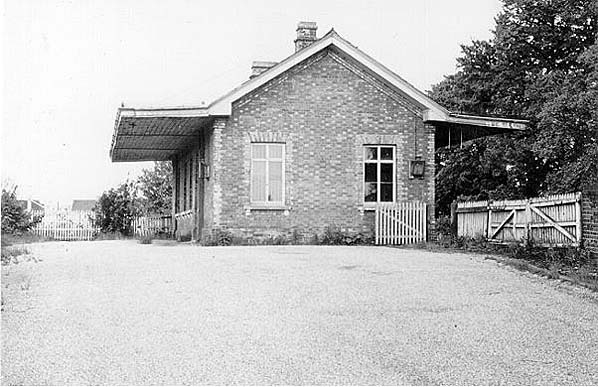 Newport Pagnell station looking south-east c. 1960s. ran on Saturday 5 September. Newport Pagnell goods yard c. 1967. 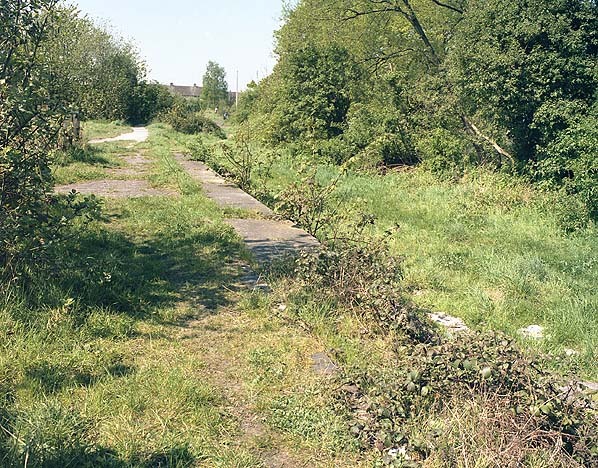 The two warehouse pre-date the railway and were part of Shipley Wharf, the terminal basin of the Newport Pagnell branch canal. They survived into the 1970s. Newport Pagnell station forecourt c.1967.